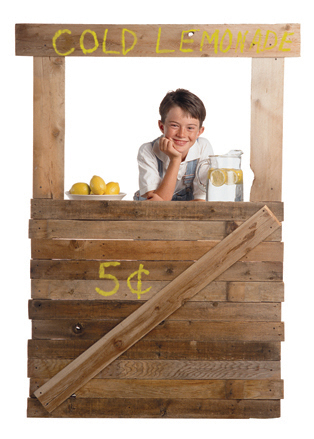 Did you ever have a lemonade stand as a kid? If not that, then you probably sold something else at some point in time. When I had my lemonade stand, most of the morning was spent dragging a table to the edge of the yard by the street, creating a hand painted sign that said “Lemonade” and taping it to the table, and then, of course, actually making the lemonade. That was the fun part. Everything was good until my first customer would drop by and ask “how much for a cup of lemonade?” Umm, good question it turned out – I had no idea. I seem to recall that most people would leave me a quarter and some kind souls would drop a dollar in my change cup. The funny thing is that that was a long time ago, but all too often for products the price of the productis the last thing that we product managers think about…! Here’s some new product manager vocabulary for you: “price setting” vs. “strategic pricing”. Price setting is what we all do all too often when we’ve created a product or feature and then all of a sudden someone drops by and asks us “so, what’s it going to be sold for?” Strategic pricing is what we all really should be doing and it can make all the difference in the world for our company. Strategic pricing is the “special sauce” that explains why two companies with similar market shares and similar technology often earn wildly different profits. In order to perform strategic pricing, you need to bring together marketing, competitive, and financial information in order to determine how to set prices profitability. Do you see what I’m getting at? This all means that if someone proposes a product or feature that can’t be sold at a profit, then you need to kill the product before eats up too many company resources. So where does all this talk of strategic pricing lead us to? How about a new relationship between marketing and finance. If you think about it, a product’s price (and thus the strategic pricing process) is really the interface been a marketing department and a finance department. This means that both sides need to learn some new dance moves. Specifically, marketing needs to come to understand that although market share is important, so to are company profits. Finance needs to learn that pricing is not just about “covering costs”, but rather is a part of the dynamic selling process. So how is pricing done for your product(s)? Would you say that you are currently using price setting or more of a strategic pricing approach? Right now do you feel that you are getting the maximum value for your product? Leave me a comment and let me know what you think.